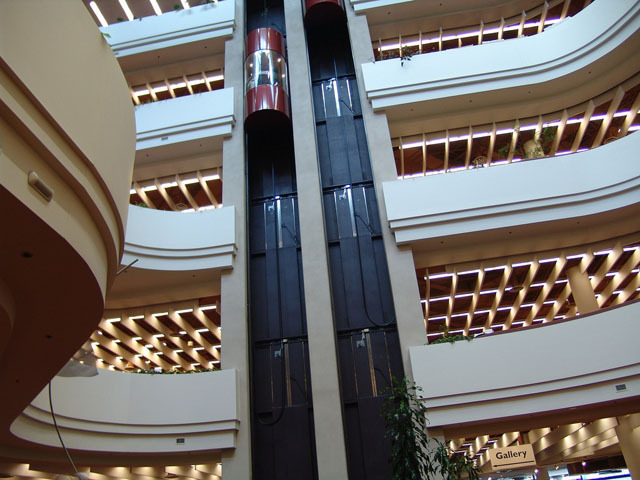 In addition to some upcoming online renovations based on some questions they are asking, the Toronto Reference Library has announced a revitalization project that will physically transform the library throughout the next five years. Being the first renovation of its kind since the library opened its doors in 1977, the project will cost $30 million. Original architects Moriyama and Teshima will be responsible for the library’s redesign. The first phase of the project will include the construction of an events space that will be able to hold large-scale community events and conferences. Other future additions include a coffee shop with an outdoor terrace, gift shop, and reading lounge built along Yonge Street. With a design built around the concept of integrating technology with traditional print material, one main feature will be an animated, visual beacon that will initially attract browsers to a raised platform with 140 computers, which will then present the rest of the library at the browser’s disposal. That’s pretty much all we know at this point, since the campaign won’t begin until mid-2009. But we do also know that the library will remain open during all of its renovations—which is a nice thing. In the meantime, we will try our best to keep our eyes and ears open and let you know if we start spotting any crystals.